The cableâ€™s built-in amplifier circuitry actively boosts the HDMI signal with no external power required. 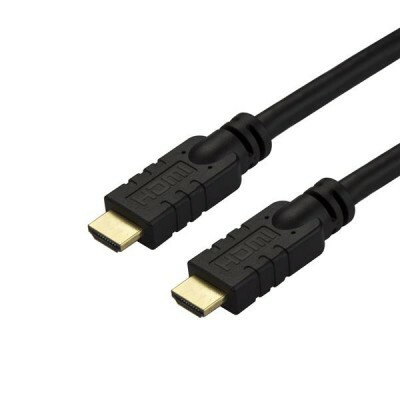 It supports longer connections than regular HDMI. The active cable also features a thinner wire construction for more flexibility, making it ideal for in-wall installations. With higher resolutions, increased speeds, and sharper images, the cable provides the very best HDMI capabilities available today. Itâ€™s the perfect cable for creating the ultimate home-theater experience, for providing lifelike digital signage, or for delivering exceptional presentations.